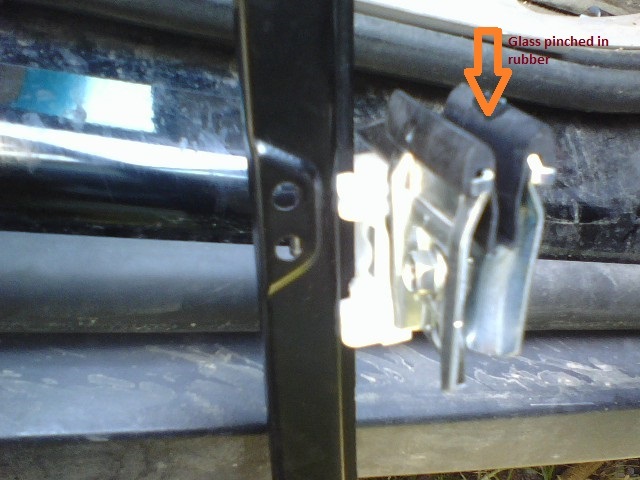 The glass should be pinched in the regulator clamps. The clamp bolts get tightened to 95 in lbs. If you have trouble, remove the right rear door panel and check out how the glass is installed.